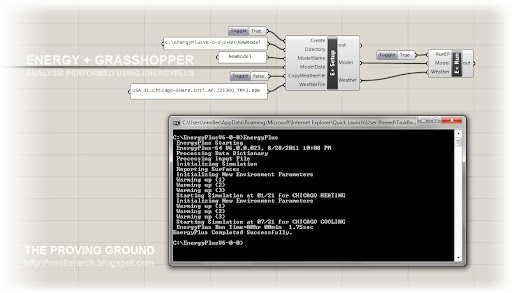 Grasshopper users have all kinds of simulation tools at their disposal... however, I have yet to see an attempt at integrating energy simulation tools with Grasshopper... so here is a 'weekend warrior' study which links Grasshopper to EnergyPlus. 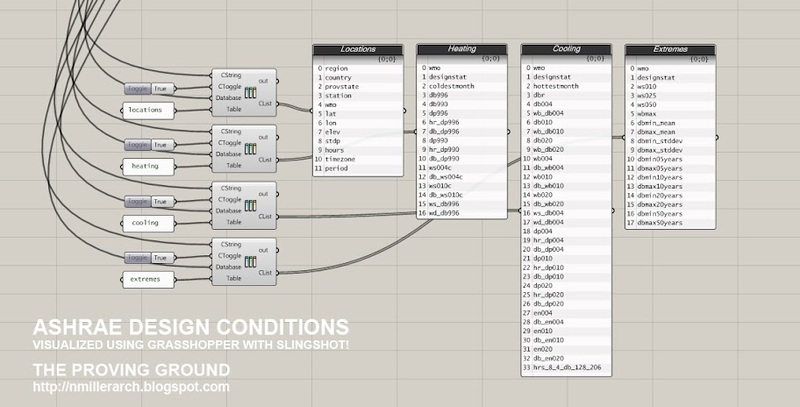 We have just about everything else: solar (DIVA, Geco), structures (Karamba, StructDraw), physics (Kangaroo).... What other simulation tools will we see in Grasshopper's future? What do all of those ASHRAE Climactic Design Conditions look like?